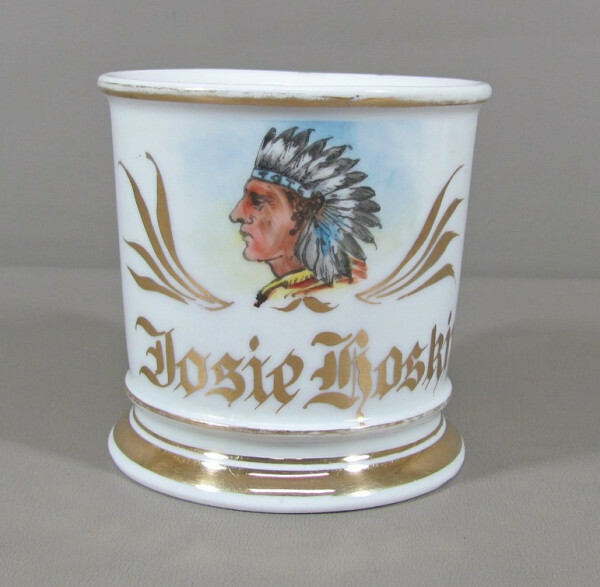 Fraternal Shaving Mug for the Order of Redmen with the standard design of a chief’s head with T.O.T.E. in the headband, which supposedly means Totem of the Eagle. 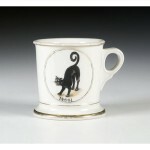 This is not the best example you might find of this mug, but it is the standard design for it that you will find.